to have natural light . . .
to stand the test of time! Gem State Solar is committed to building a brighter future. 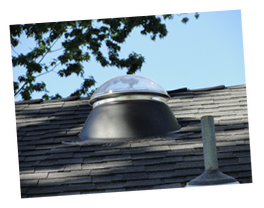 Our solar skylights, LED lights & attic fans are energy efficient & eco-friendly. We pride ourselves on providing each customer with personalized service. We guarantee your satisfaction with years of experience & the best warranty in the industry. Our products are designed to save you money. Watch your energy bills shrink & qualify for valuable tax incentives when you purchase our products. Solutions That Make A Difference! At Gem State Solar, we are dedicated to bringing you products and information that will help reduce your energy bill and your carbon footprint. We partner with each customer to design a more comfortable home or work environment using the best solar light tubes, attic fans, and LED lighting on the market. We believe that everyone should have access to high quality, sustainable solutions for their home or business. That is why we carry the latest solar technologies at prices to fit any budget. And all of our Energy Star Qualified products are built to last, manufactured with today’s most durable materials. 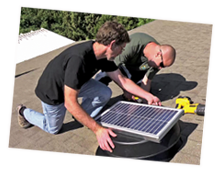 Gem State Solar’s tubular skylights and solar attic fans use renewable energy (RE). Unlike the coal, gas, and oil that provide most of our electricity, RE is non-polluting energy sourced from inexhaustible resources such as wind and sunlight. By offering only the most advanced, energy-efficient products, we are building a brighter future together. 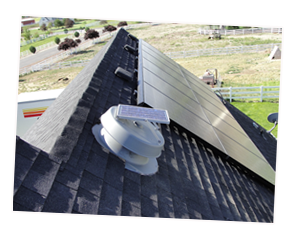 As one of the nation’s leading providers of solar energy systems, we have the expertise to deliver the best possible solution for your home or business. With over 20 years of experience servicing both residential and commercial buildings, as well as the industry’s best warranty, you can be confident that you’re making the right choice when you choose Gem State Solar.